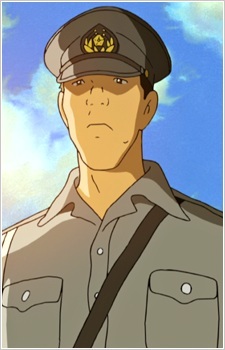 Father of Tatsuyoshi. He is a policeman and is respected in the community. He once brings back home Mitsuko after the other children lose her. In reality however, he often returns home drunk and beats Tatsuyoshi. Later he commits suicide because of debts he has for visiting a blond prostitute.